PR and creative agency consulting firm Gould+Partners recently released its fourth PR industry annual survey report, The Trusted Authority in PR Industry Trends and Best Practices. The study comes on the heels of the company’s previously published research reports, Best Practices Financial Benchmarking Report, the Billing Rates/Utilization Report and the Industry Growth Report. These three previous surveys all had the same conclusion—the >$10-$25 million size firms were the most profitable, had the highest billing rates and were the fastest growing firms. 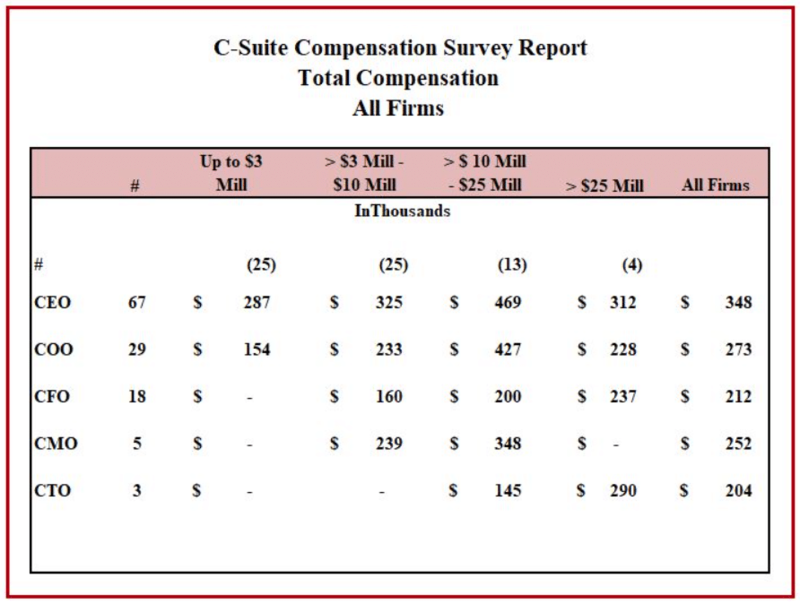 The new survey also concludes that the C-suite salaries and bonuses were also the highest for the >$10-$25 million group. For example, CEO salaries + bonuses for participating firms went from $287K for firms up to $3 million, to $325K for firms over $3 million to $10 million, to $469K for firms over $10 million to $25 million, and down to $312K for firms in excess of $25 million. The same was true for chief operating officer salaries and bonuses going from $154K to $233K, to $427 for firms over $10 million-$25 million and then down to $288K for the over $25 million group. Those interested in receiving a copy of the full report can contact Gould at rick@gould-partners.com, or (212)-896-1909.